In December of 2014, I had come to a point where I knew I had to make a change in my life. I was depressed, unhappy, feeling not wanted…I was broken. Things just seemed to keep going from bad to worse. The final straw for me was waking in the middle of the night confused as to why my chest hurt, being afraid, and thinking I can’t be having a heart attack, I’m only 45. A few days following tests, I contacted a friend of mine who I had seen such an amazing transition in and who is also a client at Absolute-U-Fitness. She recommended trying out a free session, and gave me Brian Quinlisk (the owner, and a personal trainer) name. At first, I wasn’t sure I could do this, but I knew I needed to at least try. I needed to do this for my family. I had concerns of course, especially when it came to some of my medical background. However, after discussing those concerns with Brian, he had put together a workout plan that best suited me. I’ve gone to gyms before, and they never seemed to stick. I would have excuse after excuse on why I couldn’t get there, or do certain exercises. Absolute-U-Fitness was the perfect place for me. Each of the personal trainers who work there; work hard with each of their clients, and you see that when you first walk in the door. They care for their clients health and well-being. You see the hard work, laughter, fun, and always the encouragement with each individual they work with. I choose to work with Brian Quinlisk as a personal trainer, and for me it was the best and only choice. I needed my trainer to hold me accountable for showing up, for working my hardest, and then some. I needed him to let me know when I was slacking, and when I did a good job. There is no “I can’t” attitude. Each session with Brian brought new challenges, and gave me a new focus to what I needed to achieve. A friend just recently told me that they were happy to see the “smile and sparkle” in my eyes, because it had not been present for such a long time. January 2015, I began, training, working out, and changing my eating habits. Since that time, I have lost a total of 43.5 lbs, 7 dress sizes, and the emotional stress that it came with. I don’t know where I would be today, without Absolute-U-Fitness, or the incredible personal trainer, Brian Quinlisk, who I have the privilege to train with. Today, I am happy, healthy, feel younger, and more energetic. It’s an incredible feeling of accomplishment when you see the way your life changes; when you just take that first step. Thank you for helping me save my life (new and improved). The smile on your face says it all!!! Gotta love Absolute-u-fitness!! Brian is a great trainer….. No doubt about it!! You are part of the reason why I have been able to get to this point. Seeing your transition, your determination, and the encouragement you have given me to go forward is what brought me here to Absolute-u-fitness. That, and of course your suggestion to go with Brian as a trainer. I am strong, I am determined, and I know I still have work to do, but I am going to get there, and go further. I’ve set my goals, and they will be reached. Surrounding myself with people who encourage, push, and help me is how I’ll get there. You were beautiful before, but now you’re stunning! 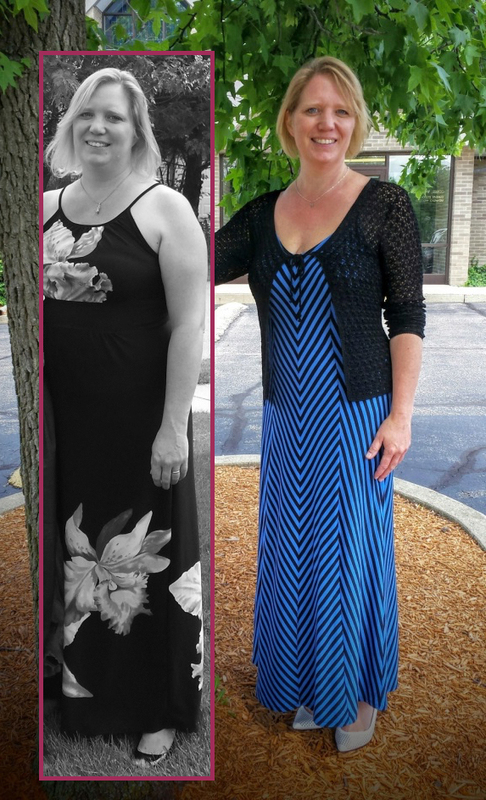 Wow, what a transformation….you must feel awesome….Congrats! It was so nice to see your comment, and I appreciate your compliments. The transformation seen is just a start of the changes that are making me stronger, and more confident. I am a different person, and I do feel incredible. Absolute-u-fitness has gotten me from feeling sorry for myself, and being withdrawn; to wanting to share with others how great I feel. I want to be an encourager who lets people know that no matter what circumstances you come from, getting fit and healthy is possible. It truly does change your life. The trainers here at Absolute-u-fitness…Brian, Mitch, Hope, and Marcy put everything into their training to help people on their journey. And thank you for your kind words. Paying it forward is JUST as rewarding!!! Well done, Connie! You are amazing inside and out, and you are an inspiration to many. I am very excited, and happy…feeling truly blessed. You have transformed into an athlete…beautiful, sleek, strong….wow!! Connie , congratulations on the bikini competition!! I saw a photo of you Saturday morning! You looked amazing!! You have great dedication and I hope I can look half as good as you! I can dream! Again Connie congratulations!